The concept of peacekeeping is not explicitly mentioned in the UN Charter. It has evolved over time to meet the Organization's changing role in the maintenance of international peace and security. Peacekeeping is covered in both the Repertory of Practice of the UN organs and the Repertoire of Practice of the Security Council, especially in the sections dealing with the maintenance of international peace and security and financing. 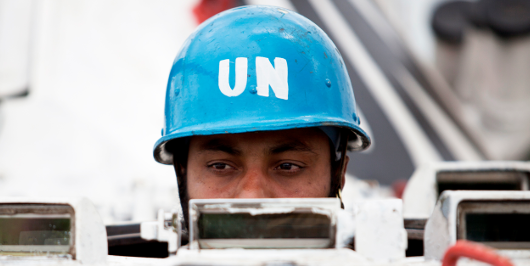 The UN Peacekeeping website provides an overview of past and current UN peacekeeping activities. The Security Council establishes peacekeeping operations and monitors the performance of their mandates. The General Assembly considers the financial aspects of peacekeeping and monitors the budget of the missions. This guide provides an overview of the primary documentation in both organs relating to the creation and execution of peacekeeping operations. Department of Peacekeeping Operations' resource for policy, best practices, lessons learned and training material.